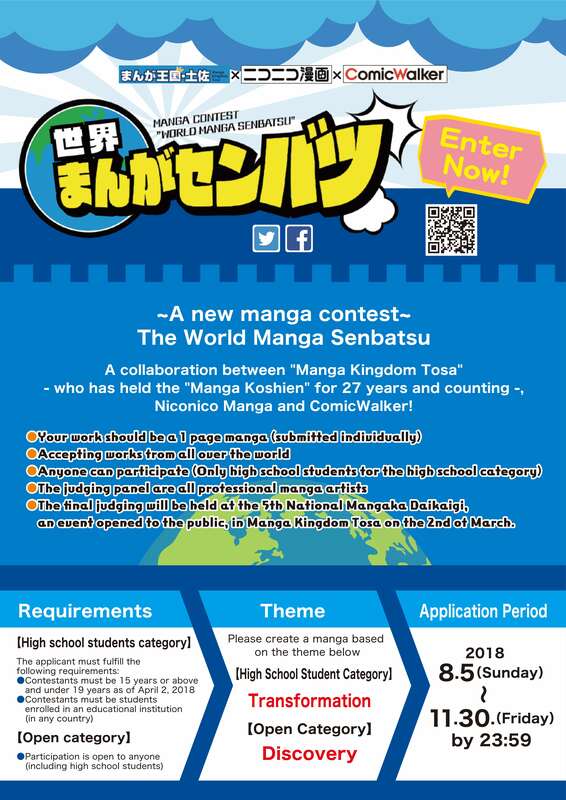 The “World Manga Senbatsu” manga contest, held by the Kochi Prefectural Government in Japan, is accepting submissions from around the world! 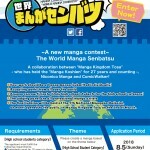 Submit a one-page manga before the deadline (30 November, 2018) for your chance to win amazing prizes! 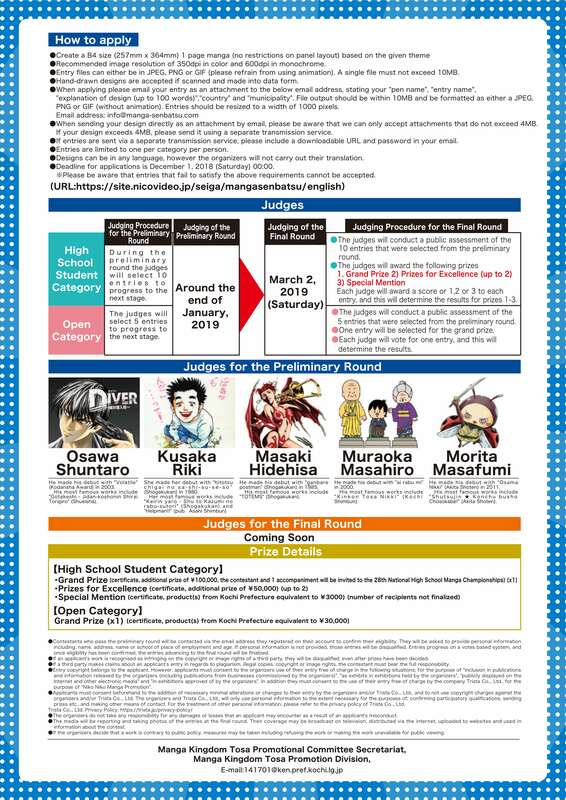 For more information about the contest, submission requirements, information on the members of the preliminary judging panel and all other details, please see the link below.